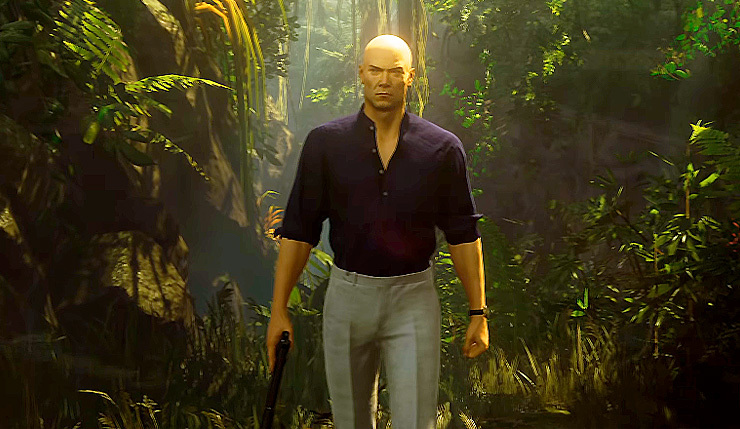 Hitman 2 has dropped a full gameplay trailer for its second location – the deadly drug-cartel-controlled jungles of Colombia. All the leaders of the powerful Delgado Cartel are descending on a small village, so, of course, Agent 47 is there to take them all out in one fell swoop. Watch Agent 47 get in touch with nature and kill some bad men, below. While we’re at it, here’s an earlier Colombia teaser. Welcome to Colombia, 47. An iron-fisted Delgado Cartel rules over the village of Santa Fortuna. Security is extremely tight. It is a rare occurrence to have all three cartel leaders present in the village at the same time, so, you need to slay a three-headed serpent. Located in the heart of a Colombian rainforest, Santa Fortuna poses a new threat for Agent 47 as he must work his way through the native village, intricate caves and ruins, cartel run coca fields and an intensely fortified mansion with armed guards around every corner. Hitman 2 is the follow-up to the acclaimed video episodic game, Hitman. Featuring entirely new hyper-detailed sandbox locations full of living, breathing environments to explore, the game offers players the freedom to plan the ultimate assassination utilizing an assortment of tools, weapons, disguises and a variety of stealth techniques to creatively trigger their own unique chain of events. Hitman 2 sneaks onto PC, Xbox One, and PS4 on November 13. Those who purchase the Gold Edition of the game can play the game early on November 9.